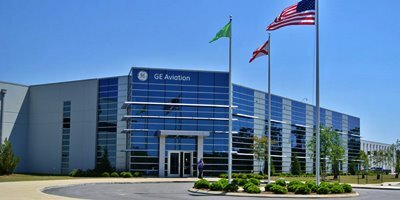 Aircraft engine supplier GE Aviation plans to invest $105 million into its operations in Asheville, creating 131 jobs to support its new technology, machinery and additional equipment. The Evendale, Ohio-based company said the investment made this year will help accommodate an uptick in local production of ceramic matrix composite components for jet engines. It also is expected to assist in creating increased capacity in its legacy nickel alloy rotating parts. Additional investments create the need to expand its workforce, currently at approximately 425 employees, the company said. Wages for the new positions are expected to pay about 30 percent above the average wage in Buncombe County. The announcement came in a ceremony at the Asheville Chamber of Commerce. During the event, Gov. Roy Cooper told a room of local leaders it is clear GE Aviation "knows the kind of state that we are." "North Carolina is becoming a centre for aviation and the aerospace industry," Cooper said. "These jobs are advanced manufacturing jobs that pay an average of over $48,000 a year. Many middle-class families will get a boost in pay and a new job." He added that GE Aviation has been "a great corporate partner in Western North Carolina." That they're doubling-down on the region shows that the region has desirable traits such as its "good, quality workforce," he said. The company broke ground on it's $126 million facilities at 401 Sweeten Creek Industrial Park Road in 2013 and opened it the following year. GE Aviation, a subsidiary of General Electric, said at the time Asheville's site would "revolutionize jet propulsion. "It was expected to generate $1.2 million annually in city and county tax receipts as well as create $34 million in annual income. Its local facility, which measures out at 170,000 square feet, is one of the only factories in the world that manufactures jet-engine shrouds using a lightweight technology employing a ceramic matrix composite. The shroud is a stationary part in the hot section of the engine that directs cooling air. GE Aviation said components manufactured in Asheville have contributed to an estimated $150 billion "industrial backlog for GE engines worldwide" with demand only expected to increase in the next decade. The company also plans to add jobs and invest in its West Jefferson location, bringing the total size of the investment to 146 full-time jobs over four years between the two facilities. Michael Meguiar, GE Aviation's Asheville plant leader, said the Asheville facility was "made for growth," and will serve a significant purpose for the company as it wins additional contracts. Prior to his remarks, Meguiar was presented with a china plate with the state seal, at which time Cooper told him, "We're glad you picked us."